I was bemused to hear that Attorney General Eric Holder called the vote by Congress to hold him in contempt of Congress for his stonewalling and lies “a grave disservice to the country”. Hundreds of people died as a direct result of the Fast & Furious operation, Congress tries to do its job to learn why this tragedy happened, and Holder thumbs his nose at Congress, Obama invokes executive privilege to block access to the DOJ documents, and somehow Congress is at fault for finding Holder in contempt of Congress?!? Really? What passes for a news media in this country keeps reporting that the Department of Justice approved the sale of guns to illegal buyers in order to track them, and a majority of those guns have been lost and one was used to kill a border agent last year. That makes it sound as if this was simply another case of federal government incompetence. 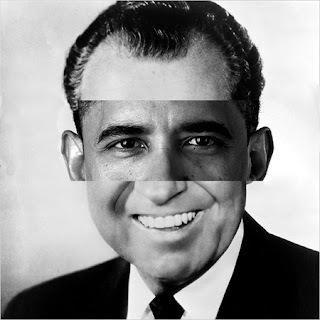 In fact, it’s far more sinister than that. Early in his first term, president Obama made the claim that 90% of guns used in Mexican drug war violence originated in the US, and we need to do more to keep US guns from arming Mexican drug cartels. This official party line was parroted by other high ranking officials in the administration. Then it was learned that 90% OF THE 7% THAT COULD BE TRACED came from the US. That’s a huge difference… like the difference between a lie and the truth. Many of those weapons from the US were determined to have been sold in the 1960s and 1970s. They were a far cry from the military styled weapons that were accompanying the administration’s bald faced lie as it was broadcast by the sensationalistic anti-gun media. The facts showed that despite record gun sales during the Obama administration (the only industry this administration has managed to benefit), there is no real problem with legally purchased US firearms crossing the border. Here’s where it gets interesting. Rather than slink away and wait for their lies to dissipate, this administration doubled down on a bad bet. They cynically and with malicious intent used the Bureau of Alcohol Tobacco Firearms and Explosives (BATFE) to deliberately “walk guns across the border”, and other DHS agencies were in on the plan as well. It wasn’t a rogue agency with a dangerously inept operation. It was a directive from way up in the administration to use government agencies in a manner that was diametrically opposed to their charters, with callous disregard for human lives that they knew would be forfeited in order to advance this administration’s political objective. That objective was to further circumvent the second amendment of our Constitution and infringe upon the unalienable right of the People to keep and bear arms. The low level agents knew this plan of walking guns across the border was insane and made no sense. It was exactly the opposite of what they had been doing. The only reasonable explanation, disgusting as it is to admit, is that this administration needed hundreds or thousands of innocent people to die so that US gun sales could be blamed in order to force gun control on the American people, just as they forced socialist health care on us. This isn’t about incompetence. It’s about evil intent. That’s why this administration is doing everything it can to prevent Congress from doing its job and exercising their constitutional power to provide a meaningful check against this tyrannical executive branch. Speaking of political motivations… I’m glad that Representative Ben Chandler voted for Holder to be held in contempt of Congress, even if he crossed party lines to do so in order to prevent Andy Barr from attacking him for taking part in the big coverup behind Operation Fast & Furious. This is one of the few times when his constituents were watching and Chandler was forced to actually represent them instead of being Nancy Pelosi’s lap poodle. I have realized that over the course of constructing a relationship with real estate managers, you well be able to get them to understand that, in every single real estate financial transaction, a commission rate is paid. 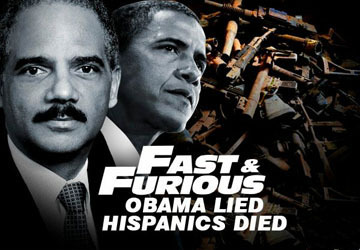 Fast & Furious represents another attempt to diminish the liberties articulated in the Bill of Rights. Once again Democrat politicians use the death of others an attempt to achieve their goals. “Evil intent” is absolutely right. The Democrats that walked out on the vote are shameless and cowardly. I would not be surprised to find that this was ordered by the White House and the Justice Department.